Keep warm! Even the most expensive suit cannot guarantee you will stay fully dry after a swim. Get some comfortable, wicking, thermal baselayers that will keep you warm, even when wet. Neoprene products such as long johns & legwear are worn next to the skin and are a versatile, cost-effective choices, as you don’t need to wear an outer shell over the top. Many whitewater cags will aim mainly at preventing water ingress whilst a lot of touring tops tend to focus on paddler comfort. Full latex seals will keep more water out, but will keep more heat in; great on raging whitewater, not so great on calm waters in summer! Winter can be a fantastic time of year to paddle in the UK and you may find that a decent set of neoprene gloves, pogies or headcases makes all the difference. Touring and sea kayakers often use an oversized waterproof, windproof layer (known as a storm cag) that soon becomes your best friend when the weather turns. Whether you are just starting out or are looking to upgrade your tired old canoe clothing, have a think about what kind of paddling you see yourself doing the most and focus on that. If you are buying kit expecting to stay 100% dry in any eventuality then you risk disappointment: be realistic, be prepared to compromise and get some expert advice if you are unsure! And remember, the more you look after your kit, the more your kit will look after you! 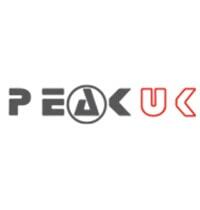 Peak UK are world-class paddlesport equipment designers and manufacturers based in the heart of the Derbyshire Dales. Find out more about Peak UK.